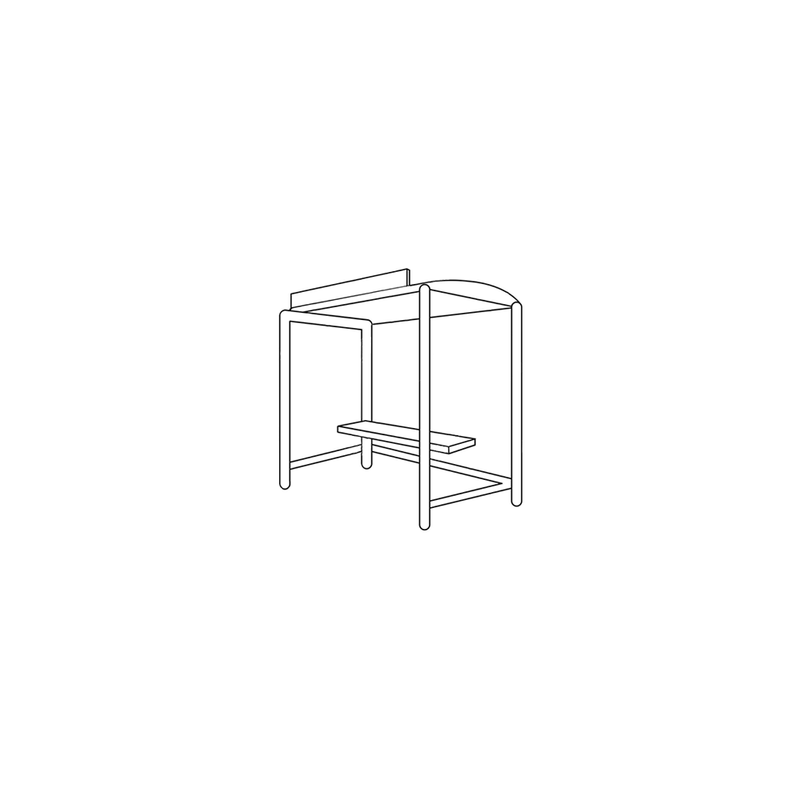 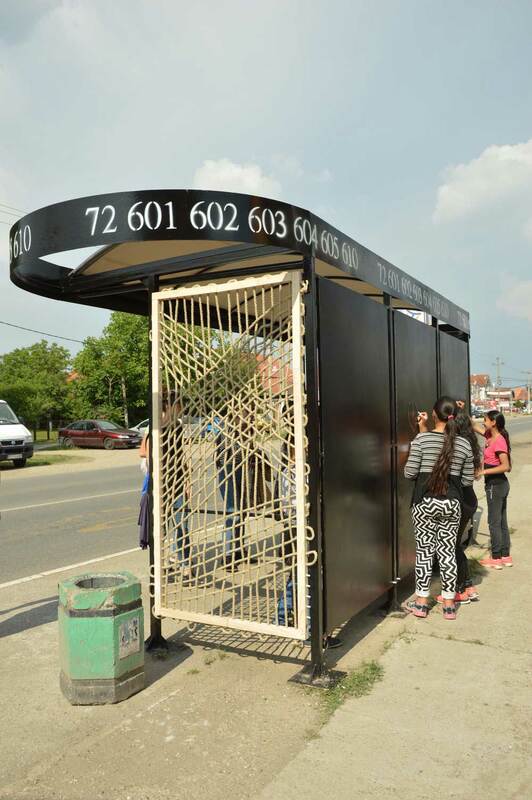 MOOD STOP is an intervention that was part of the Belgrade International Architecture Week 2018 and supported by Future Architecture Platform. 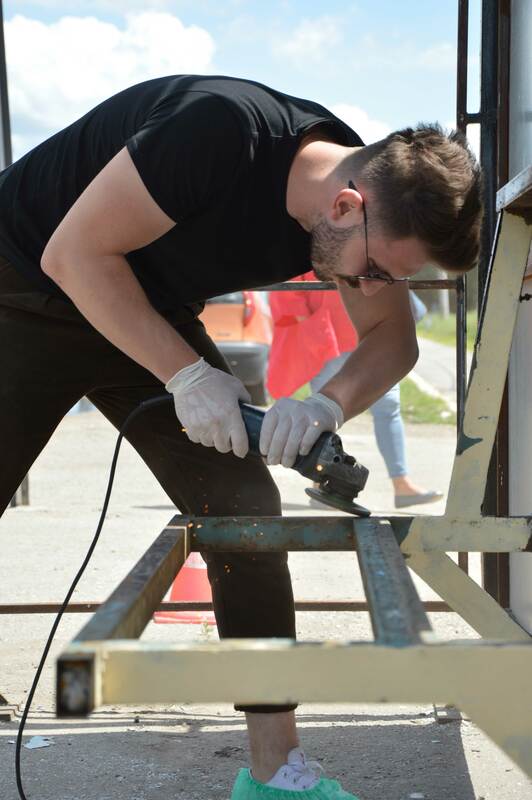 It consisted of a 3-day workshop focusing on bus stop reconstruction and reanimation. 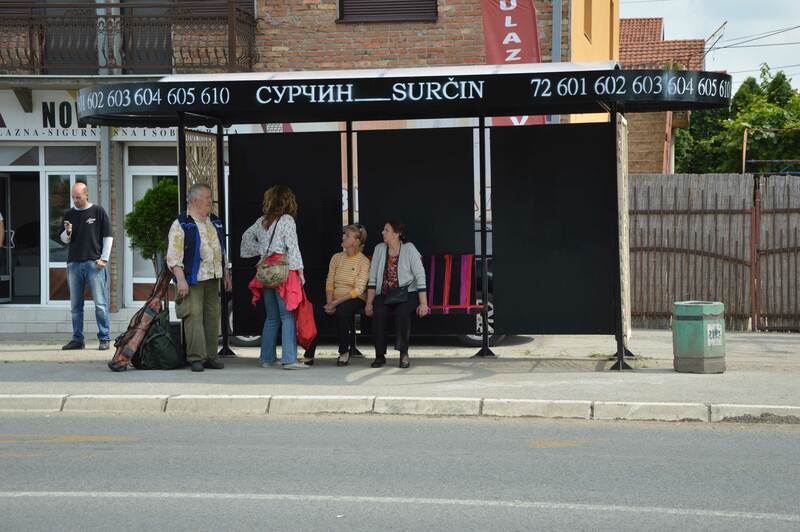 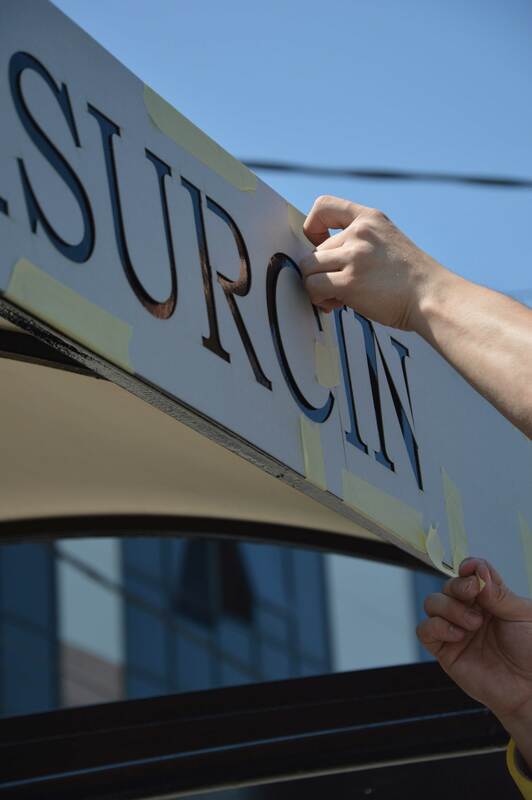 The location of the bus stop is Surcin, Ledine neighborhood in Belgrade, Serbia. 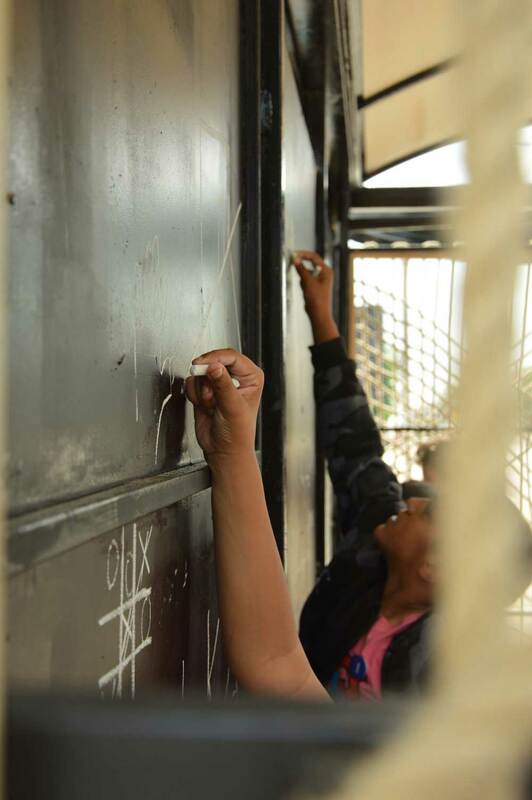 The neighborhood is in a provincial area of the city and in a greatly neglected condition. 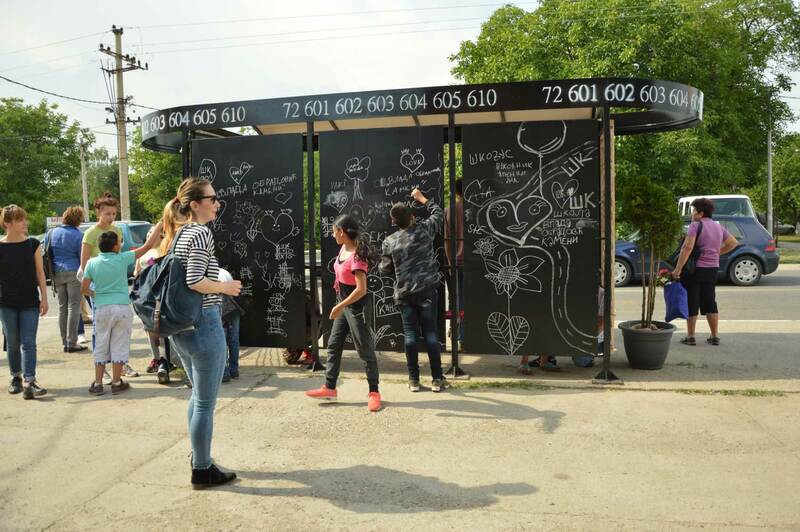 The project aimed to create an ambient, a pleasant meeting point, a MOOD STOP where people will feel relaxed and feel better while commuting on a daily basis. 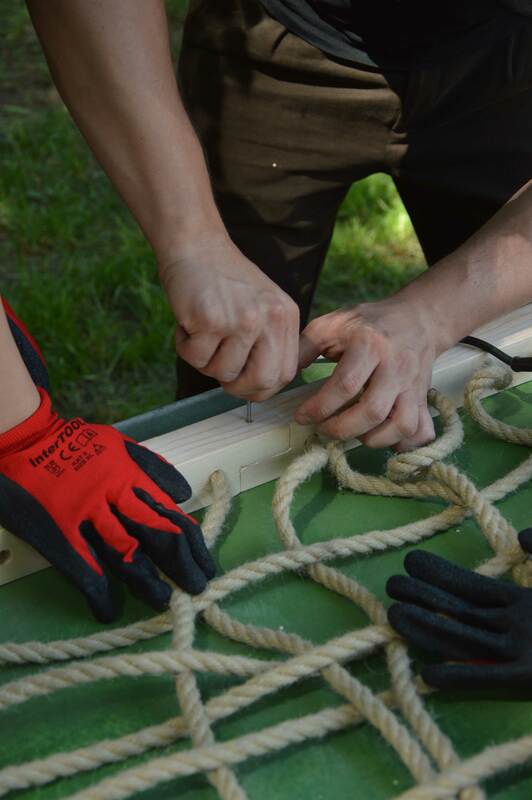 The 3-day workshop consisted of several actions following one another. 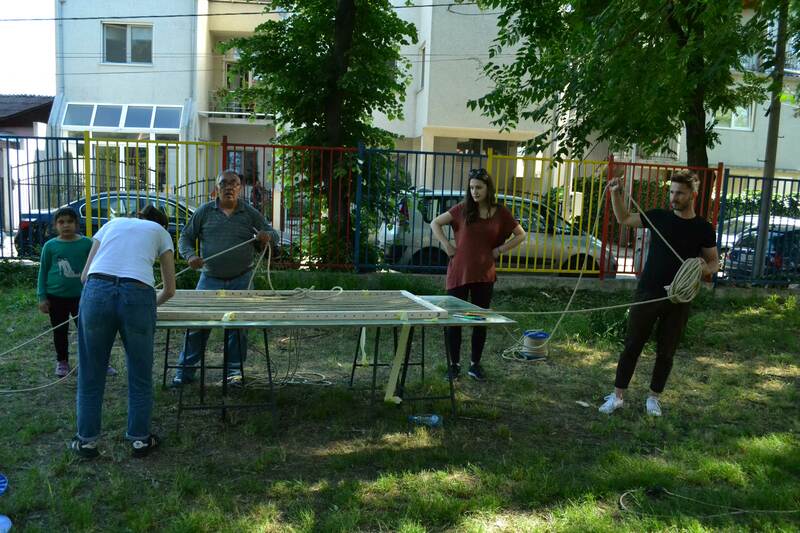 The work was done at two locations: on site at our bus stop and at the school where all of the participants were working together. 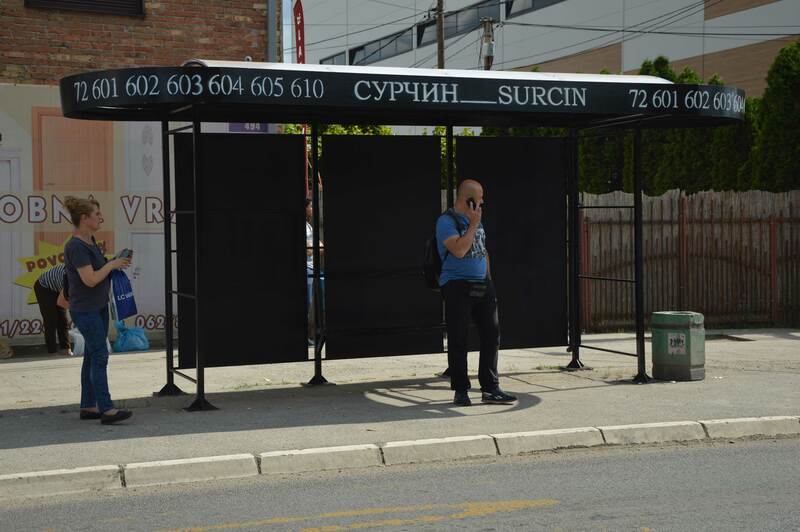 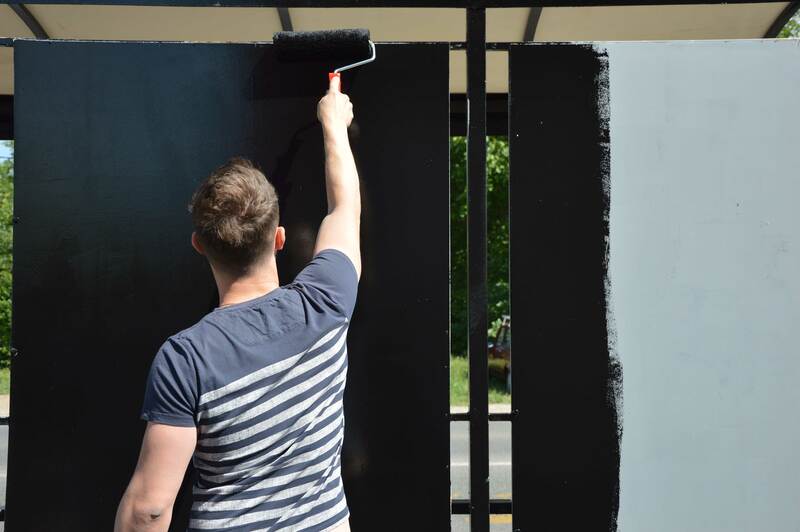 Firstly, the bus stop was cleaned and painted black . 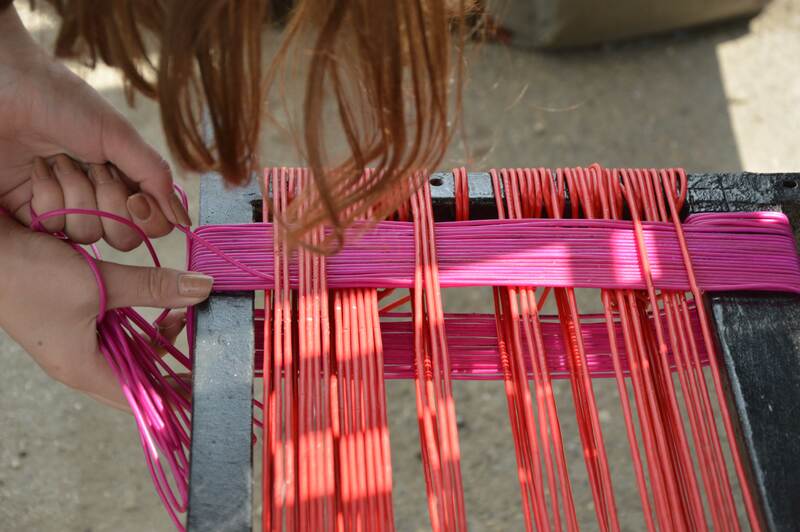 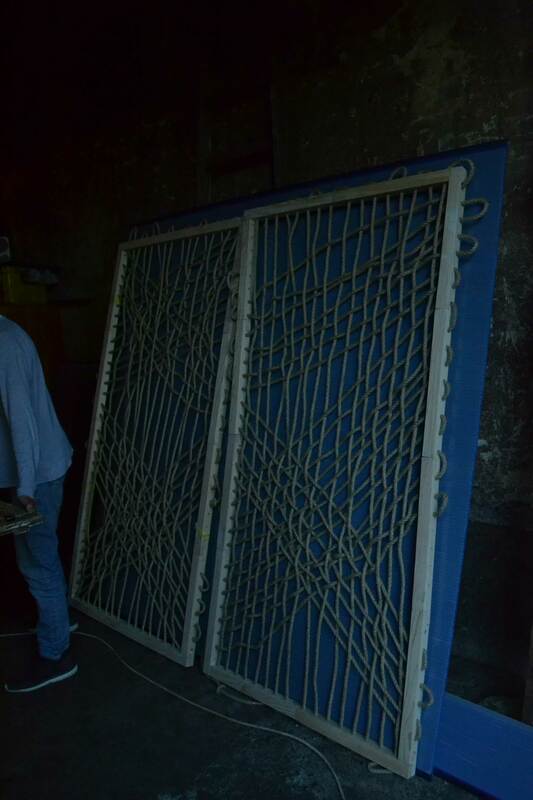 During the drying process, we continued braiding the side panel (which we started as a workshop in Skopje). 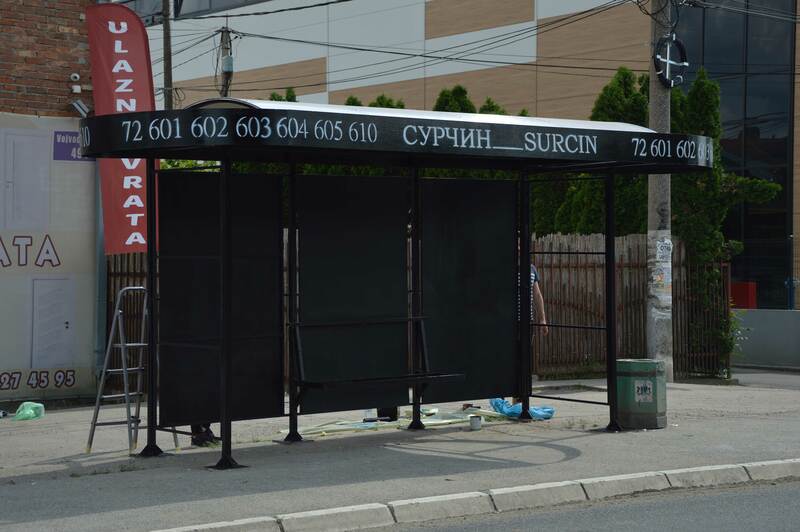 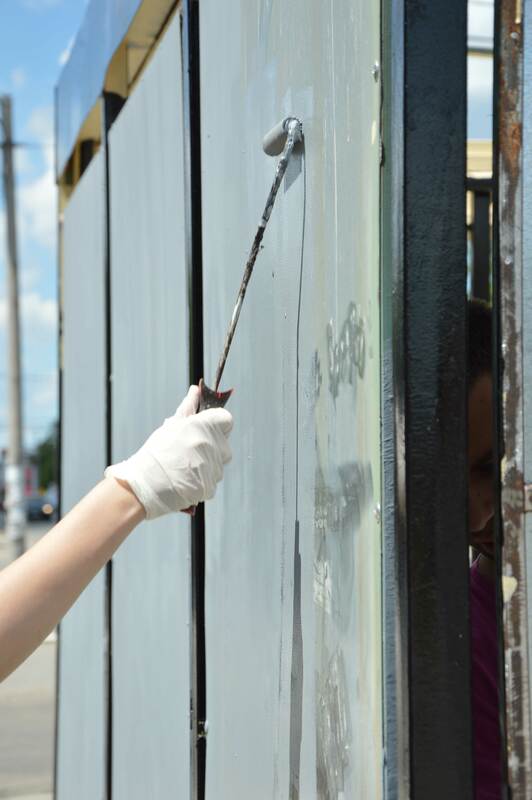 Than, we marked the bus numbers that go by that bus stop and finished painting the bus stop. 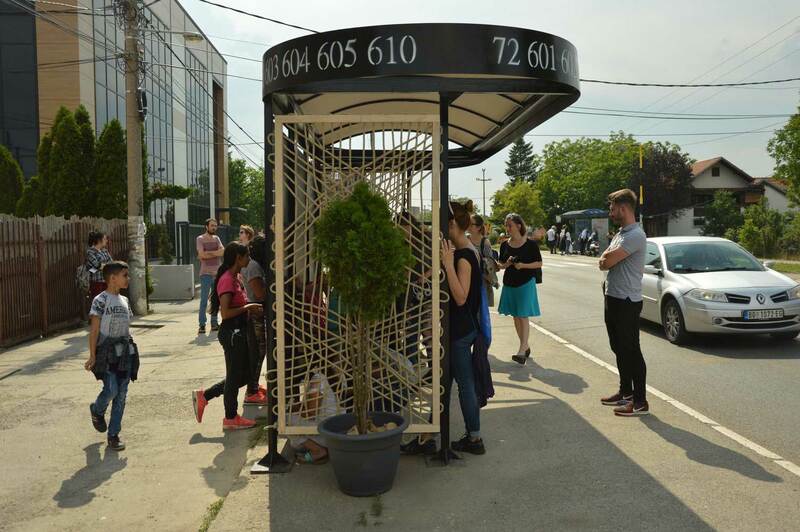 Lastly, we assembled the side panels at the bus stop, braided the existing construction of the bench to create a sitting area and placed a tree in a pot to contribute to the ambiance. 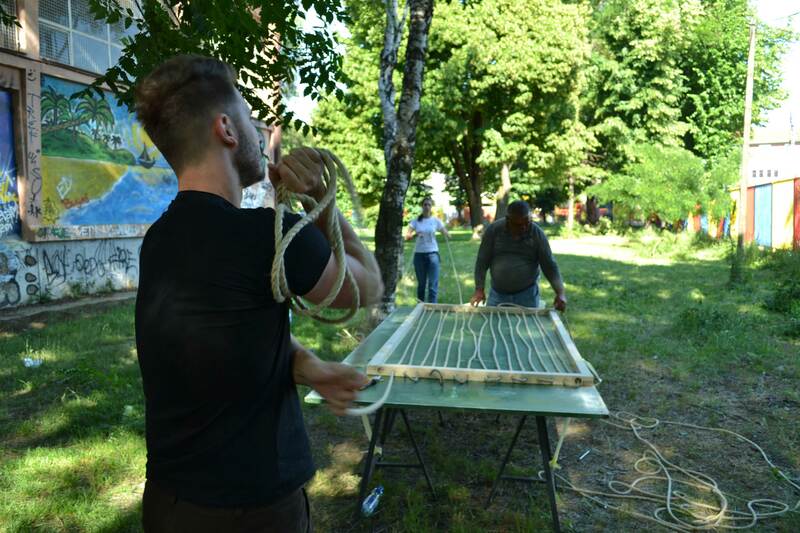 At the last day, we made a presentation of our work to the organizers, the other participants and the young students from the school that helped us during the braiding of the second side panel. 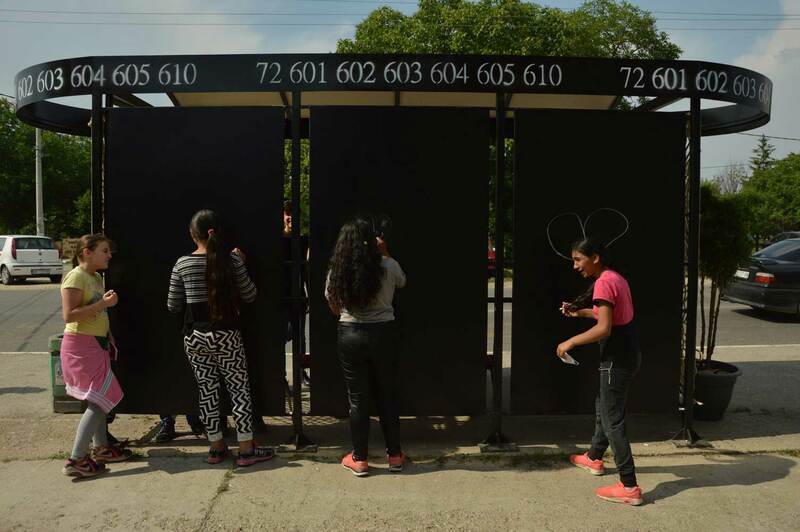 The black panels that acted as a blackboard were immediately filled with their drawings, names and games. 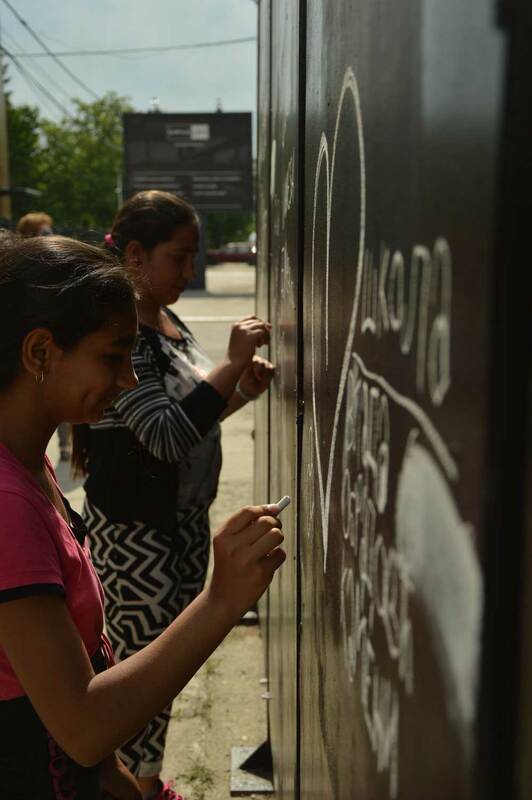 A great thank you to all who took participation and helped us realize the intervention. 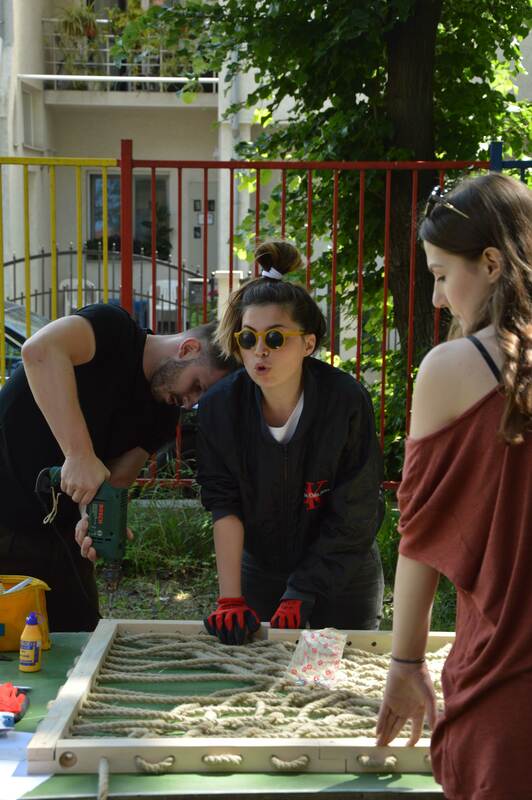 We specially thank Marija Stojanović, our volunteer from Belgrade, who constantly worked with us during the 3-days. 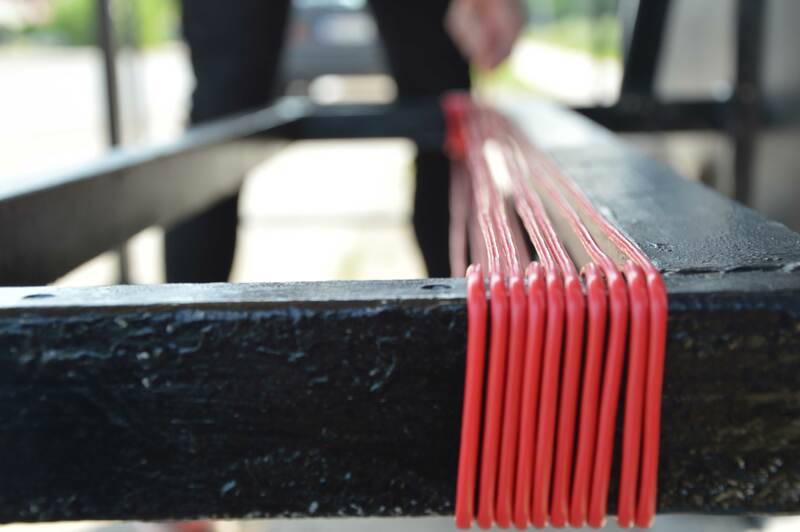 It was a pleasure to collaborate with BINA and Future Architecture Platform. 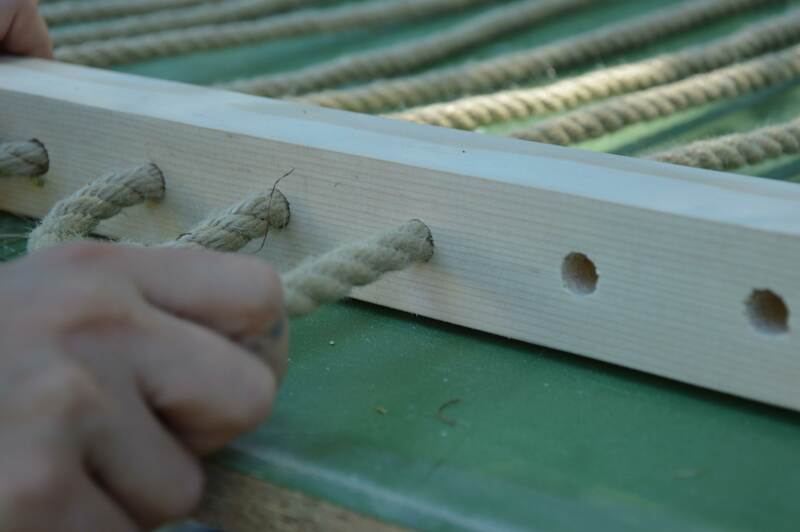 Looking forward to our future collaboration.